Jonathan’s Landing is a fabulous golf course community located in the heart of Jupiter, Florida. Loaded with amazing housing options, much of the golf course real estate in Jonathan’s Landing offers picturesque views of the Intracoastal Waterway and the immaculate golf course landscape. 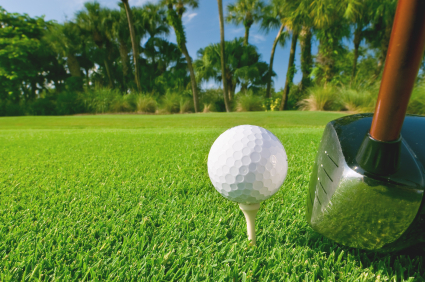 For information on real estate for sale in Jonathan’s Landing or in other Jupiter, FL golf course communities, contact Dylan Snyder at (561) 951-9301 today! As of April 21, 2019 there are 30 ACTIVE properties for sale in Jonathan's Landing with an average listing price of $733,013. The highest-priced ACTIVE property listing is $7,000,000, while the lowest-priced property can be purchased for $269,000. Residences in Jonathan's Landing have an average price of $302 per square foot, based on listings with an average of 3 bedrooms, 3 bathrooms, and 2,430 square feet of living space. Search Jonathan's Landing homes for sale & real estate in Jupiter, FL. Jonathan's Landing is a high-end gated community in Jupiter located just west of the Intracoastal Waterway. Loaded with all kinds of attractive housing options that range from town homes and condominiums to spacious and luxurious single-family homes, there’s no denying just how appealing Jonathan's Landing homes are to a very broad range of today’s home buyers. Because of the scenic waterways that run all through the Jonathan's Landing subdivision, many roadways were specifically designed to take full advantage of this unique and quintessential Florida landscape, while the homes themselves equally match this unprecedented beauty. But aside from its desirable waterfront status, Jonathans Landing real estate for sale may actually be more well-known for the tremendous golf course amenities associated with home ownership here than the easy access to the Intracoastal and Jupiter Inlet. For information about Jonathans Landing properties for sale read on or to schedule a private home showing, contact your Jupiter real estate experts today. In all, three championship golf courses are offered to Jonathan's Landing Golf Club members, which include The Village Course, The Fazio Course, and the Hills Course. Varying in difficulty level and style, every Jonathan's Landing golf course is meticulously maintained and offers a picturesque environment that never seems to get old, even for the most casual golfers. Other amenities enjoyed by Jonathan's Landing residents include 10 individual tennis courts, a state-of-the-art fitness and cardio center, an on-site marina, and a clubhouse with upscale locker rooms, a dining and lounge area, a pro shop, and even a cocktail lounge. Jonathan's Landing sprawls out over 600 acres and features roughly 126 acres of winding waterways. So whether you’re looking for that perfect golf villa, an affordable vacation condominium, or a high-end waterfront single-family home for all year long, Jonathan's Landing homes for sale offer seemingly endless possibilities. Selling or buying a home in Jonathan's Landing soon? Call Snyder Real Estate Group at (561) 951-9301. Our community of Jonathan's Landing real estate agents will help you navigate the Jonathan's Landing Jupiter, FL housing market. Thinking of buying or selling a house in Jonathan's Landing? Let our team of local real estate professionals guide you through the purchase of your next home, or skillfully negotiate the successful sale of your current Jupiter property. As local Jonathan's Landing real estate agents, we're experts on the Jupiter housing market dynamics unique to Jonathan's Landing real estate. Our team of professionals will get to work for you today! Contact Snyder Real Estate Group today to learn more about our exclusive buyer or seller representation strategies. Plan to sell your Jonathan's Landing home soon? Visit our free home evaluation tool - quickly price your Jonathan's Landing home online in moments!